Healthcare has tracked along with its business counterparts through most of the digital revolution. However, they have been slow to adapt and implement digital strategies that meet or exceed other industries. Part of their lag in progress has been the myriads of regulation and privacy issues that are unique to healthcare. A great deal of the progress has been hampered by significant false beliefs of what the end-users want from them in the digital realm. Healthcare has held firmly the thought that they know what’s best for the patient and lacked innovation in implementation of systems that work for the industry. Stuck in a shroud of myth and old belief, healthcare digital systems have been strictly focused on improving systems that serve providers. These systems had their place and time in the progression of the industry, but now the demand exists to deliver on systems that serve the end user of the care or the patient. An important part of integrating these new systems is having a better handle on data quality. On the back end, companies need to manage everything from data matching and deduplication to record linkage, which at the end of the day will provide a better experience for patients. People don’t want digital services in healthcare: survey showed 75% of patients expect to use digital services. Only young people want to use digital services: digital service use is expected across all age groups. Mobile health is a game changer: demand for mobile healthcare is not universal. Providers need to target specifically demand from the patients on what they need. Patients want innovative apps: Patients want efficiency, better access to information and integration. A comprehensive platform of services is a prerequisite: patients want simple and easy, not necessarily comprehensive implementation. Clearly, the survey speaks volumes for the end users and patients. They want simple, easy to understand and efficient digital services, across all age groups. Healthcare must stop trying to develop and implement the “ultimate” digital service providing system and listen to their customers, without viewing old assumptions. In the healthcare industry, they have the opportunity to develop and implement service provider systems that create true value and comfort to the patients, which will organically improve their satisfaction ratings and delivery of care. To achieve these goals within their digital arena, healthcare must partner with the right company to provide what drives these systems … which is data. 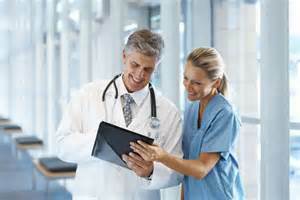 Data Ladder is the first choice for healthcare when seeking such a partnership. Their expertise and understanding of the industry is unparalleled. Go to dataladder.com and download a free trial of the DataMatch Enterprise software to see the results.